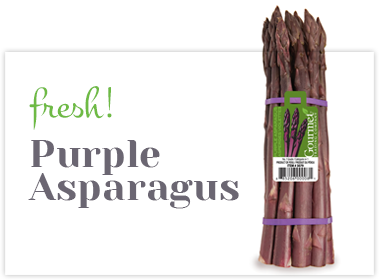 Note: Purple asparagus will turn green when cooked, so it’s best used raw or cooked minimally to maintain its color. 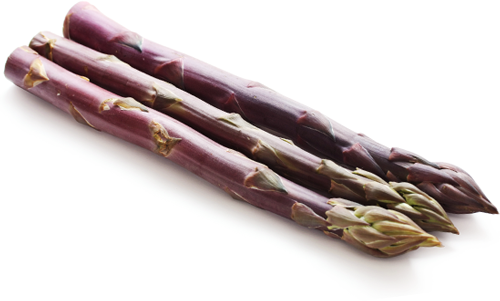 Purple asparagus is a different variety than green and white asparagus, but it is grown the same way as green asparagus. 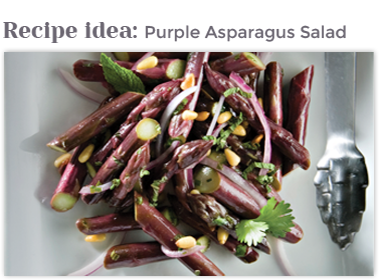 Purple asparagus has the highest levels of anti-oxidants among the aspargus varieties.